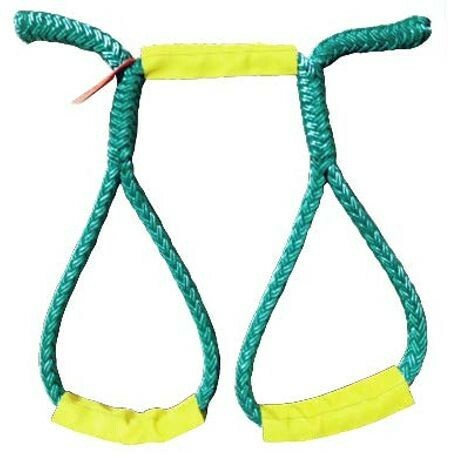 3/4" ADJUSTABLE TRANSFORMER SLING | Tallman Equipment Co., Inc.
Tallman Equipment transformer slings are adjustable from 24" to 48" in length and the eyes are adjustable from 3" to 15". Each sling is proof tested and tagged by a Tallman Equipment certified rope specialist. 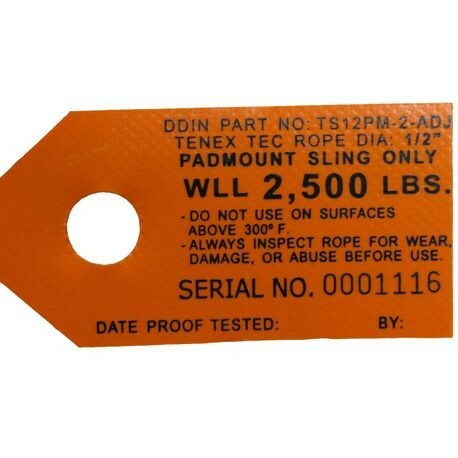 Each tag includes part number, rope diameter, working load limit, safe handling instructions, serial number and test date. 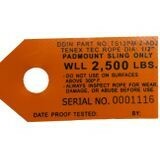 Design factor 5:1 based on minimum breaking strength.